This is a well written book on an important subject. Regardless of your view of the author’s previous books, this is a subject on which every Christian should read. 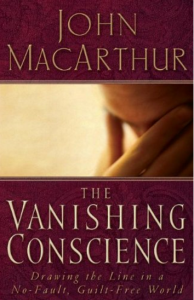 MacArthur has little time for the self-help and self-esteem teachings and believes we already think more highly of ourselves than we ought to think and that our consciences are hardened away from self-abasement. I do not agree with the author’s equation of ‘‘the old man’’ (p. 137) with ‘‘the old nature’’ (p. 217) and the resulting view that we have only one nature. For a definitive answer to that view see the ‘‘Bib-Sac’’ answer to David Needham’s book, Birthright, January, 1984.